And I know from experience that when I revisit a situation with some level-headed thinking then in 80% of the cases the issue is very small to nonexistent. And if there is a real issue then my mind is prepared to deal with it in much better and more constructive way. Thought encompasses an “aim-free flow of ideas and associations that can lead to a reality-oriented conclusion.” Although thinking is an activity of an existential value for humans, there is no consensus as to how it is defined or understood. In other words, with Paul, we do care - really care - about what others think of Christ. Their salvation hangs on what they think of Christ. And our lives are to display his truth and beauty. 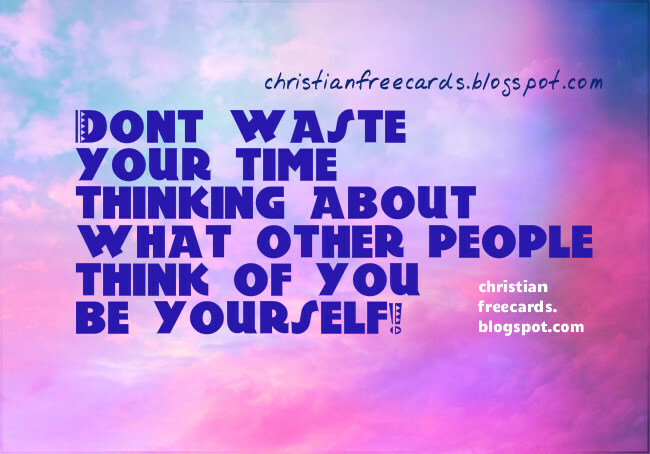 So we must care what others think of us as representative of Christ. Love demands it.